This is going to be a quick one but I just want to send all my love and good luck and happy thoughts to the Vancouver Canucks tomorrow. 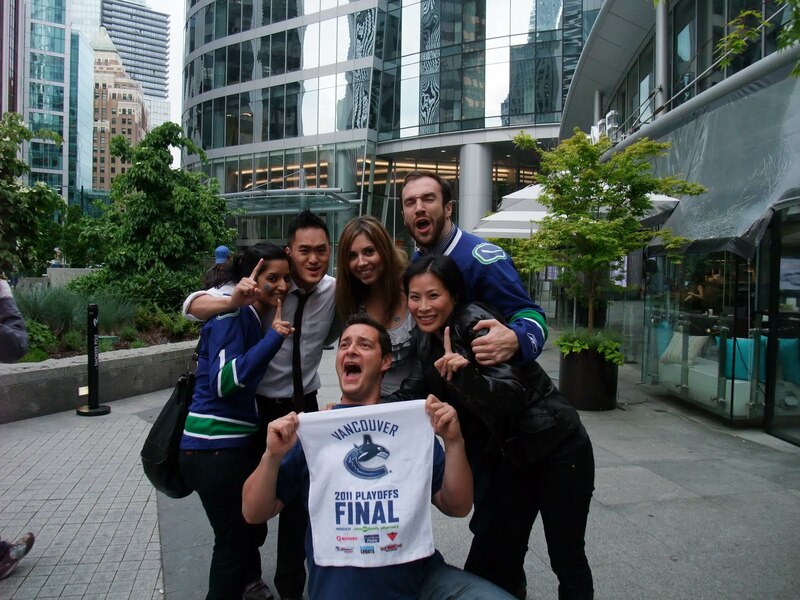 I will be at Rogers Arena to cheer my boys on to win the Stanley Cup! It’s time to bring it home! I feel my life has been a crazy merry-go-round since returning home on Monday! Constantly on the run with different things that need to be done before Bali. My to-do list has spiraled outta control. 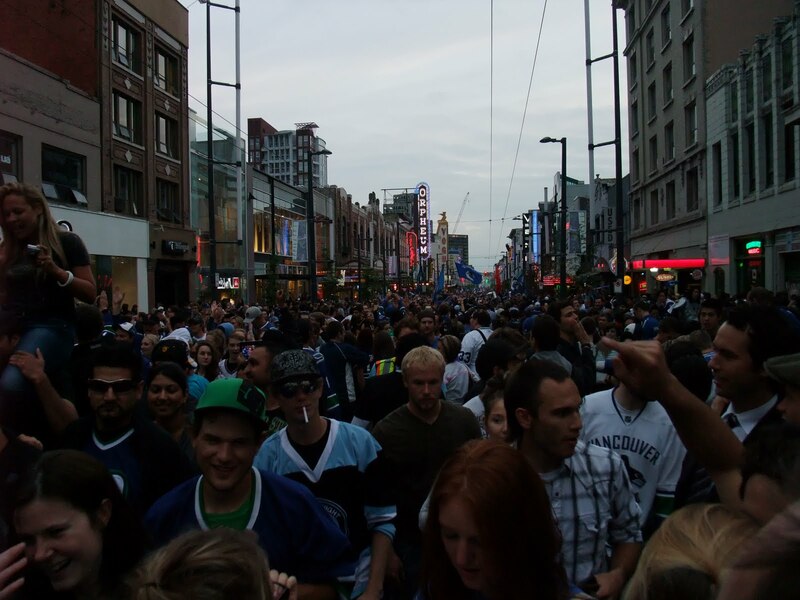 On top of everthing, my poor Canucks decided to start their summer early last night. Sigh, bring back the run of 1994 people!!! 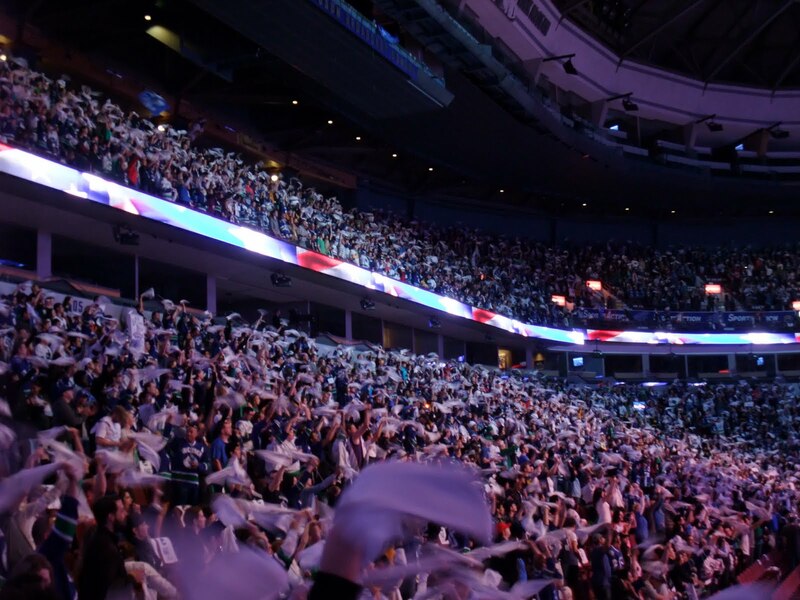 So, I may have lied when I said I wasn’t going to catch another Canucks game at the Garage until Sept… Last night, Mark and I volunteered as a 50/50 ticket seller during Game 2 of our quest for the Cup and we managed to score 2 tickets to watch the game after our shift! 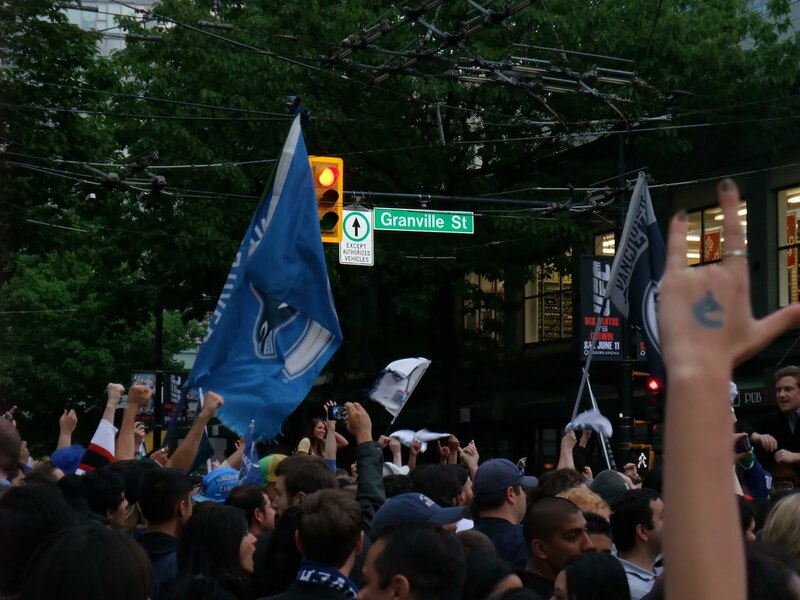 I’ve never been to a playoff game before so I was blown away by the high-energy of the fans and players. 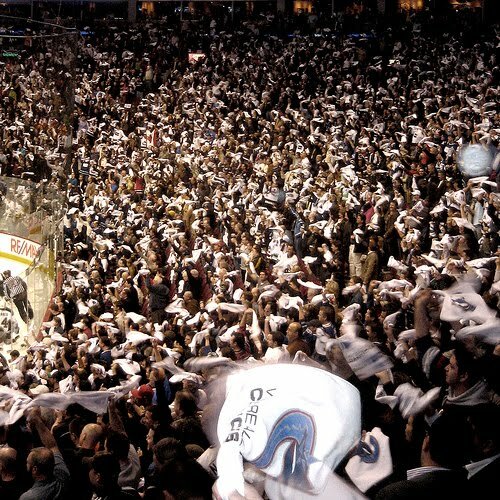 Although the outcome sucked, I will never forget the sight of 18, 810 towels waving in unison after every goal, shot, hit and whistle. Towel Power indeed. Last night’s game (Canucks vs. Avs) marked the last time we’ll be watching a game at the Garage this season. Definitely bittersweet as I’m sad I won’t catch another game until late Sept but happy as a fat kid with cake that I do not ever, ever have to listen to the 2 guys behind us again. Thank you sir for informing me about your long underwear purchases, your job hunt, your stolen GPS, your trips to Kelowna and your dumb bosses. This gal really does care. On a happier note, I was able to successfully apply for my Indonesian visa yesterday. If nothing goes wrong, I’ll be officially welcomed into the country in 2-3 business days!